Ms. Arvilla Ferrell Taylor Kelly, 90, of 128 W. Parrish St., Covington, Virginia, died Thursday, January 14, 2016, at the Springs Nursing Home in Hot Springs. She was the wife of the late Robert C. "Bob" Taylor, who preceded her in death in 1992, and Jack S. Kelly, who preceded her in death in 2001. She was born on Sept. 29, 1925, in Elizabeth City, N.C., a daughter of the late Bruce E. Morse and Nora Morse Basnight and the adopted daughter of the late William John Ferrell and Annie Laurie Brinkley. 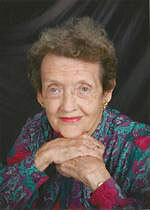 She was a resident of the Alleghany Highlands since 1943. She retired in 1978 as a material handler from the Industrial Rayon/Hercules Corp.
Arvilla was a member of Good News Christian Fellowship Church, where, each Sunday, she greeted everyone with a smile, a hug and a bulletin. She is survived by her daughter, Vickie Taylor Hurt; a granddaughter, Kyla Crosier and her husband, David; a grandson, Benjamin Baker; two great-granddaughters, Victoria Crosier and Zoe Crosier; a great-grandson, Jonathan Baker; a step-daughter, Donna Kelly Biggs and her husband, Bill; a step-daughter-in-law, Alice Biggs Myers and her husband, Tom, all of Covington; brothers, Donnie Morse and his wife, Laurie, of Elizabeth City, N.C., and James Morse of Utah; a sister, Janet Basnight Chambers and her husband, Aubrey, of Elizabeth City, NC. ; a step-granddaughter, Robin Biggs Jennings and husband, Scott, a step-great granddaughter, Cheyenne Jennings, all of Covington; a special nephew, Samuel Chambers and his wife, Awilda, and two special nieces, Pamela Zain and Debby Ribel. Other than her parents and her husbands, Bob and Jack, she was preceded in death by two great-granddaughters, Abby Baker and Amelia Faith Crosier; a son-in-law, Buddy Hurt; two brothers, Frank R. Morse and E. Moody Basnight and a step-son, Jack A. Kelly. A funeral service will be held Saturday, January 16, 2016, at 3 p.m. from the Chapel of Loving Funeral Home with the Revs. Tom Sibold and J.B. Broughman officiating. Interment will be private. The family will receive friends Saturday evening following the service. The family suggests memorial tributes take the form of contributions to Good News Christian Fellowship Church, 214 S. Lexington Ave, Covington, Va. 24426 or the Alleghany Humane Society, P. O. Box 60, Low Moor, Va. 24457. Loving Funeral Home is in charge of arrangements. To send a condolence to the family online, log onto www.lovingfuneralhome1913.com.